Not much has changed in the past fifty-nine years (except you can't pull up and BEEP for service.) 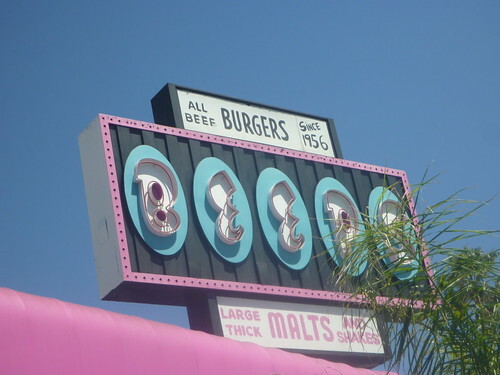 They still have waitresses that call you “Hon.” The burgers and fries remain the main attraction and the prices are so low, you'll swear it's 1956. 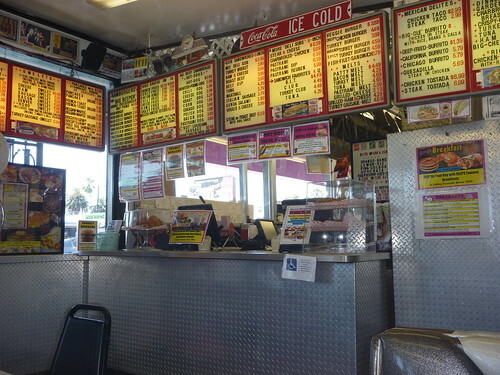 Sure they call it a diner now, but honestly at it's heart Beeps in one of the last real hamburger stands. Beeps had been one of those places I had always wanted to try. But, to be honest, apart from the Toys R Us across the street (one of just two locations I know of) Van Nuys is not a town I frequent that often. 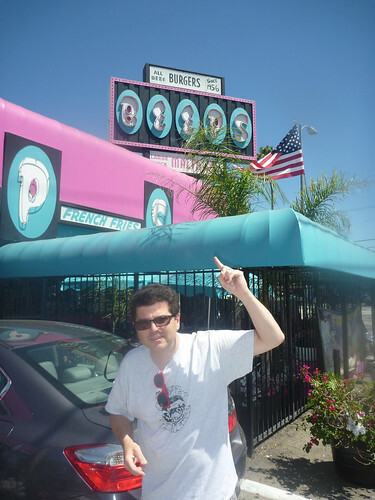 Recently, I decided it was time and made a pilgrimage to the pink and turquoise blue mecca. The inside combines a classic walk up counter with some comfy gray vinyl booths. The walls of the joint look like a swap meet exploded. 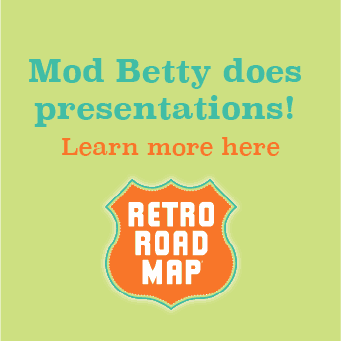 Retro reproduction tin advertising signs sit alongside vintage lobby cards in a kitschy balance of old and new to look old. The ladies waiting on you at Beeps, although younger than one might expect, posses the souls (and mouths) of dames three times their age. And the food? Hot, delicious and super affordable. I went with the crispy chicken sandwich, complete with gravy fries and a Coke. All costing just eleven dollars. 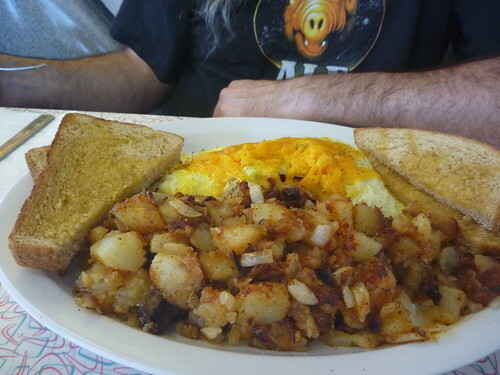 My buddy Dave had the pastrami omelet (Beeps serves breakfast all day every day) with toast and a pile of hash browns. Both of us left full. Happy. And did I mention full? 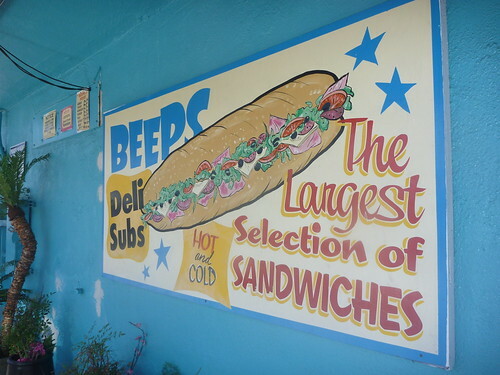 Beeps is the last of a dying breed. In a town full of wanna be imitators (I'm talking to you Johnny Rockets) it's nice to see a true original still thriving. 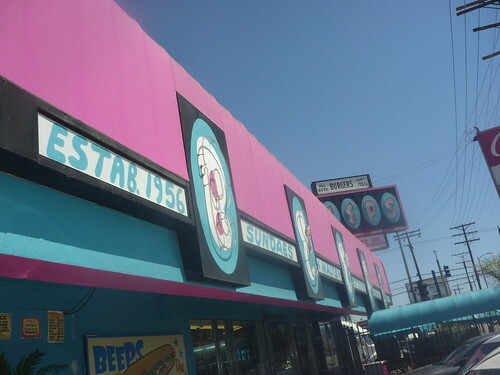 Drive on into Beeps next time you're in the area. 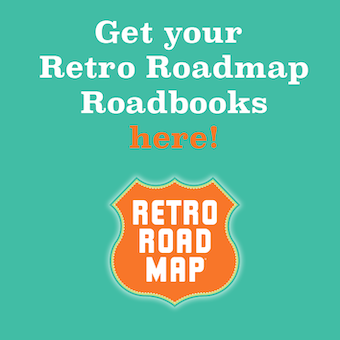 Ah who are we kidding, make the trip. It will be worth it. Just don't beep your horn. That's rude.